Check out our new database trial for Frost & Sullivan – No matter what your major, this database may be useful for you! Frost & Sullivan provides in-depth market research in a variety of fields including business, marketing, investment, healthcare, science, engineering, and more. If you are interested in trying out the trial version of this database, please contact the reference desk for log in access. The library has added a new database trial for Cambridge Histories Online. It contains over 300 digitized volumes of the Cambridge Histories series published since 1960, equating to around 196,000 pages of scholarship. Although the database focuses on history it is largely multidisciplinary, covering over 15 different academic subjects. It allows users to perform both basic and advanced searches, to personalize their experience though bookmarking and saving searches, and even to export citations. This is a great resource for anyone researching or studying a subject that has an historical element. Check it out today! Brown Library Launches New Chat Service! As the fall term approaches, you may find yourself needing help navigating some of the Library’s resources. Never fear… LibraryH3lp is here! The Library’s new chat service allows students to chat remotely with librarians from home. Reference librarians are available all hours that the Library is open to help students locate the information they need. Interested? LibraryH3lp can be accessed using the Chat With Us tab on the Library’s Homepage. Check out our Video Database!!! We are happy to announce the addition of a Video Streaming Database called Films on Demand to our database selection. Films on Demand features full length films as well as video clips from those movies. Free streaming video sites like ABC News, TED and PBS are also available in this database. There are over 5,000 movies to peruse and they are mainly focused on the social sciences and humanities. Check it out and let us know what you think! Are you interesting in learning a new language or just need some help with your Spanish class? Try out the Mango Languages Database Trial. Mango is a self-paced learning system with a focus on simplicity. It was designed for anyone to start using, without the need for a help manual. Mango is easy to setup and even easier to use! You’ll learn more than grammar, vocabulary and culture, you’ll learn how to communicate. Mango’s self-paced learning environment offers the simplest way to learn a new language. Mango is not a flashcard system. Instead, Mango teaches actual conversational skills within the context of real-world situations. Some of the languages covered are Italian, Spanish, German, Japanese, Farsi and many more. It can also be used as an ESL tool. So please try it out and let us know what you think. USF Library recently started a trial period of two history databases: America, The History and Life Full Text and Historical Abstracts Full Text. 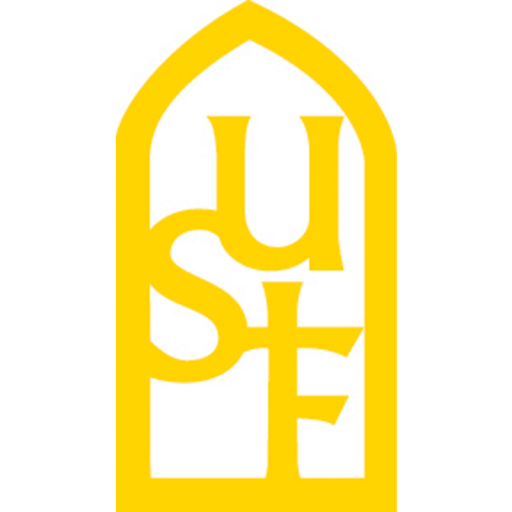 Both databases will be available to all USF affiliates until September 1, 2011. If research in history is in your future, take a look at the new databases and let us know what you think! America: The History and Life Full Text indexes 1,500 journals from 1955 with full text coverage of 230 academic journals and over 100 books. The database covers historical topics from prehistory to the present, focusing on the culture of the United States and Canada. Historical Abstracts Full Text complements America: The History and Life by covering world history, excluding the U.S. and Canada, from the 15th century to the present. Historical Abstracts Full Text indexes over 2,500 journals dating back to 1955, with full text coverage of over 370 journals and 120 books. To access any trial databases offered through USF Library, visit the A-Z Database list page on the USF Library website and click the Trials link at the top of the page or scroll all the way to the bottom of the A-Z list. Trial databases are listed apart from the ongoing databases to highlight their limited availability. We know that one of the worst parts about writing a paper is the tedium of creating your reference list or bibliography. One class wants you to use MLA, another wants APA and you can never remember if the date goes before or after the title, and is the title of the article supposed to go in quotes or not? USF Library’s newest resource, RefWorks, is here to make your life easier. RefWorks works with the databases to import citations of articles you find, creates libraries and folders of imported citations and then allows you to export a properly formatted reference list from your citation library. What’s more, is that RefWorks has a small program that you can download onto your computer called Write-n-Cite that installs itself into Microsoft Word and will insert your in-text citations, properly formatted, into your paper with just a few clicks of your mouse. RefWorks is available wherever you are, no more being tied to a single computer or browser like with Zotero and has some added functionalities that makes for a more user-friendly experience. Setting up an account is simple, just click the link below and get started. Off campus users will have to login to their MyUSF portal before creating an account. NEW: Video on Demand Database Trials! We have received numerous requests for video on demand (VOD) options at USF Library. To meet your demand, we have obtained trials of a handful of VOD databases. The trial period lasts through February, so take a look and let us know what you think. Created by the Library of Congress, THOMAS is a central location to find federal legislation and legislative information, as well as the day to day happenings in Congress. THOMAS allows you to search and browse their extensive collection of legislative information based on type of information, sponsor, and other measures. All content in THOMAS is available in full text, allowing you to read complete editions of any bill or resolution passed by Congress. THOMAS has been in existence since 1995, and has information dating back to the mid-1970’s for most kinds of information.